Be sure to visit my BigAss Coil and follow the construction of my current project. This is my 4" coil. Just imagine how much fun my 10" coil will be! 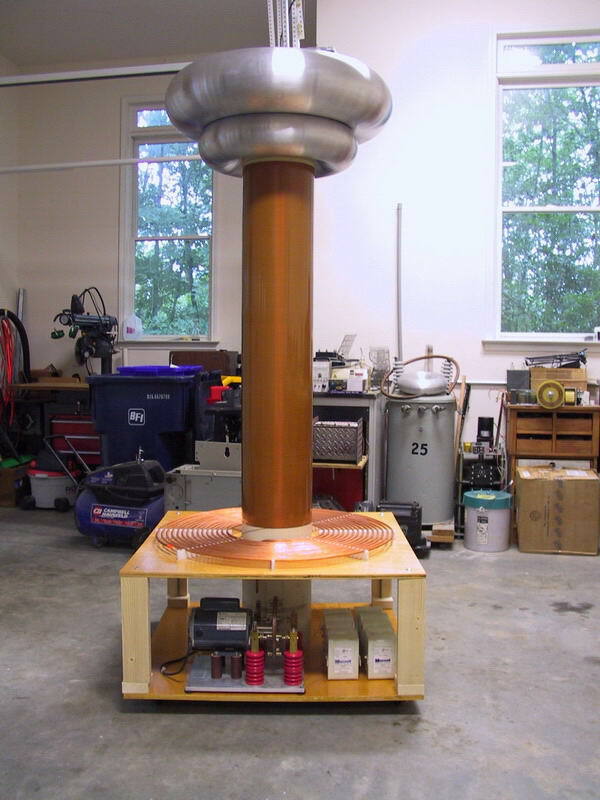 A tesla coil is a loosly coupled pulsed air core resonant transformer, capable of producing incredible voltages. It makes a hell of a bug zapper! 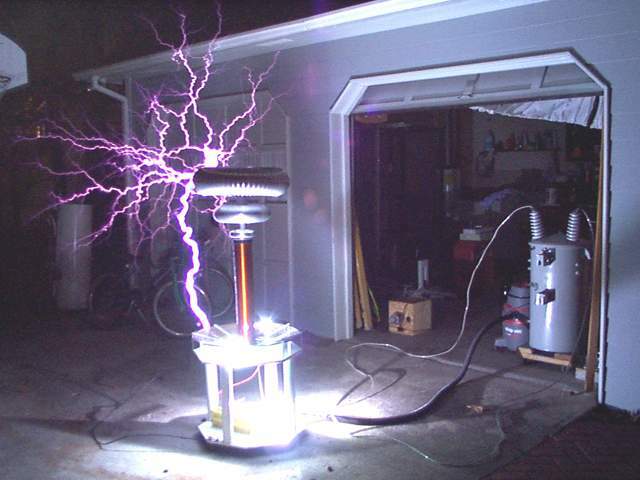 Be sure to visit my Fun With Tesla Coils page. Below are links to other Tesla maniacs like myself.